This week’s Photo of the Week is a picture that I actually took - gasp - this week! 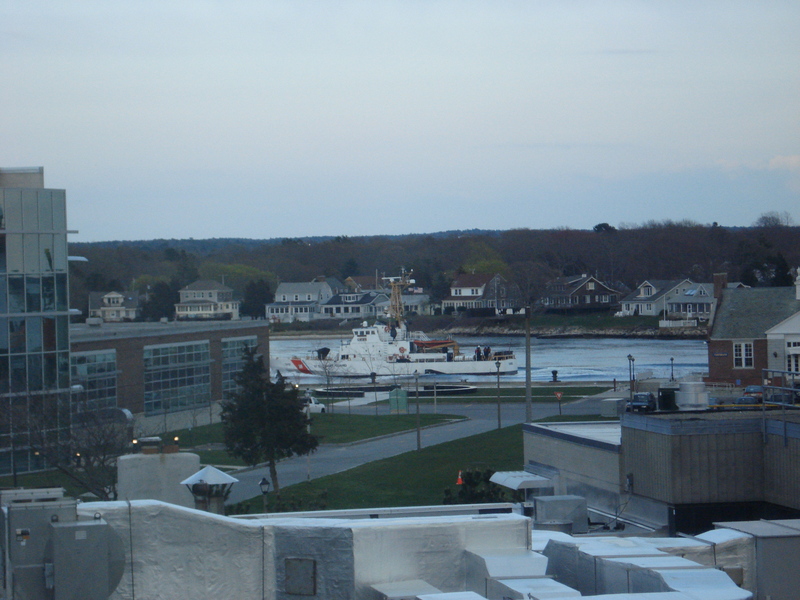 It’s a photograph of an 87’ Coast Guard cutter passing the Mass Maritime campus as it heads east through the Cape Cod Canal. Since I’m planning on going into the Coast Guard, I get pretty excited when I see Coast Guard vessels and aircraft around campus, and this was no exception. I’d imagine that one of the big questions that most prospective cadets and parents have, such as this parent, is what life in the dorms is like. In general, it’s similar to that of most other colleges: there are two people to a room, we share the heads, and we’re always in each other’s business. However, we have unique aspects of dorm life, such as cleaning stations and inspections. Cleaning stations are only for freshmen, and are done in the morning at 0550 and at night at 1900.